Shy Chloe Russo is dreading her first Christmas running the family business. Working with Nico Di Fiore is the last straw! Once, Nico’s kisses promised Chloe every sensual delight, until he coldly rejected her. Now he’s her very commanding, very arrogant boss! Control is paramount to Nico—after his father’s bankruptcy lost him everything, nothing will distract him from succeeding. He’s always kept a tight rein on his craving for Chloe, well aware she alone has the power to disarm him. But now, unable to deny their connection, Nico is determined to reclaim control and take Chloe as his own! Forbidden love and second chances! This story takes us on a journey of painful remembrance of both happy and sad times in the character’s past. She’s stepping into shoes she never wanted to fill in this manner, and his place there is all about supporting her .. yet she doesn’t know, so she’s fighting him tooth and nail. The characters are a believable force in a strong story line showing us how to move forward even in despair … and how to forgive in order to find that happily ever after. A fast paced, drama filled delight! Chloe Russo finds herself heading home to Manhattan just in time for Christmas … but she’s only there because her new boss dictated she had to be! 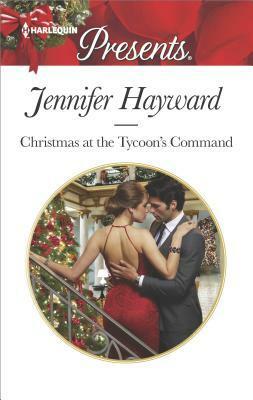 She’s not looking forward to reuniting with Nico Di Fiore to spend her first Christmas of running her family business. He crushed her adolescent dreams long ago and doesn’t have the right to expect her to forgive and forget the second he needs her to cooperate with the way he wants things to run! Nico lived with the pain of losing everything once in his life already, and he’s not relishing seeing it happen again. Chloe can stomp around as much as she wants, but like it or not, he’s in charge of the company and she needs to step up and learn what he has to teach her without the attitude she seems to always have flaring!